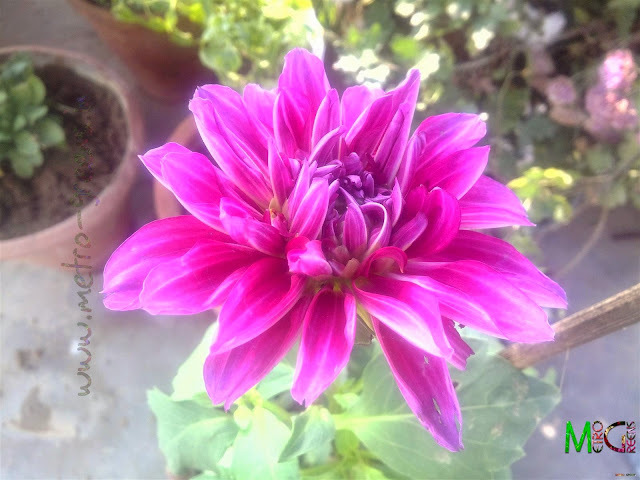 This year's first to come by, in my garden is a Dahlia, a bright pink one, that caught my attention at the very first sight. I was instantly in love with the colour of the bloom, and decided to take it home right away, as one of my first plant purchases on this year, and, I guess, I made a good decision. Take a look at the bloom, and decide for yourself.